DO YOU HAVE ANY IN STOCK? by far my most popular question. 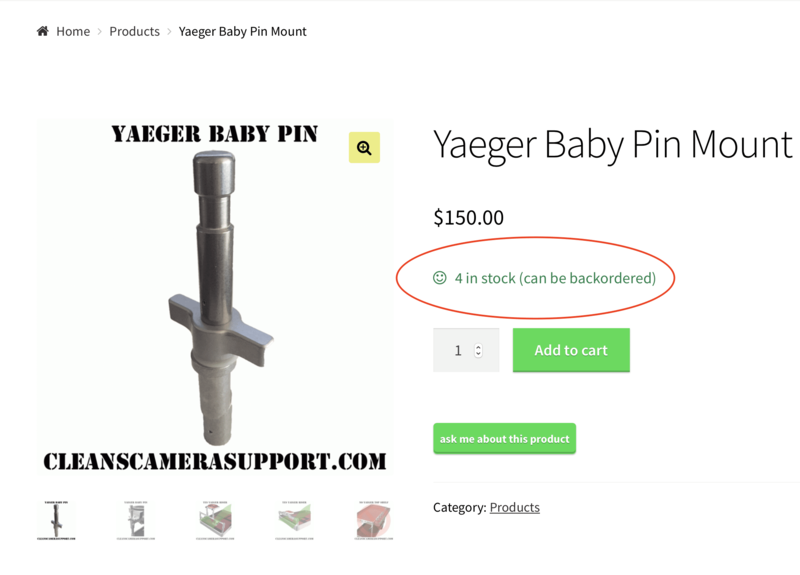 every product page has a quantity available right next to the add to cart button. If the item is in stock, I usually ship the next day. I will send the tracking info & usps will send updates if you have provided me with your email. i get restocked the first saturday of every month. HOW LONG DO I HAVE TO WAIT FOR SPECIAL ORDERS/COLORED PRODUCTS? colored products are special order only. orders placed before the 15th of the month will be fulfilled the first saturday of the next month, a 2 week wait. orders placed after the 15th of the month will be fulfilled the first saturday of the month after next, a 6 week wait. you can invoice yourself! just add the items you want to your cart. proceed to checkout & continue to the payment page. there you will find the pay option: “quote me.” just choose that & place your order. you will receive an email of your items marked as pending payment. CAN I PICK UP IN LOS ANGELES? sorry, we do not offer local pickup but do offer free shipping. in town orders are usually delivered the day after we drop your order off at the post office. i ship everywhere! rates explained on my shipping page. because you aren’t just paying for shipping but for insurance & tracking. i do offer other cheaper options but they are more risky. you can read all about it on my shipping page. usually within 24 hrs of your order & sometimes on the same day depending on how early you order. My wifey does the shipping & goes to the post office daily. In order to insure your order, we have to go to the post office & have the packages scanned in. It’s a time intensive process but one that protects your investment. cinematic precison will invoice you if there are any charges. there are no “bro prices,” “group discounts”, etc. My margin on these products is super slim. I don’t believe in over-inflating my prices so that when people ask for a discount I can knock off $20. I worked really hard with my machinist to offer the best product possible at a camera-assistant friendly price point. I’m an a.c. & I know how little we make & how little our equipment rents for these days. I challenge you to find any of these products at this quality for less money. So please don’t ask for a discount, you are already getting one. right here in the good ol’ usa! hopefully this page answered all of y’all’s questions. if it didn’t, feel free to contact us below. as long as i have internet connection, i can usually respond within an hour.